This dependable drill is built to hit harder and penetrate rock faster than any other drill on the market. For years it has been the work horse of the mining and construction industries. The MWS83F can easily be converted from a Jack Leg drill to a Sinker drill - perfect for quarries and road construction projects. It is a favorite of both drillers and managers for it's power and low maintenance. 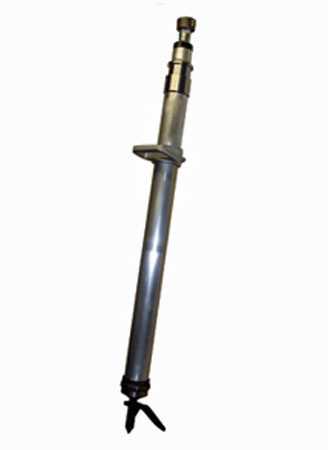 Mid-Western is the OEM of the S83 line of Jack Leg Drills. We manufacture our parts and drills right here in the United States. Our castings are made right here in America and we do all of our own precision machining. It's no wonder why our drills perform better than any of the foreign competition. Many have tried to copy our drills but none have been able to equal our quality. We have been manufacturing reliable equipment for over 65 years and we carry on that tradition today. 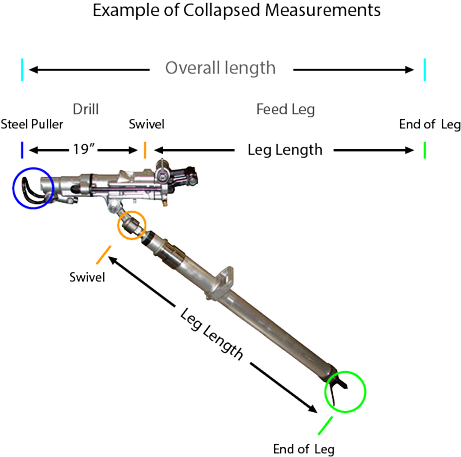 Telescopic Feed Leg capable of up to 562 lbs. of force. Compatible with our MWS83FC and MWS83FD Jack Leg drills. Available in several sizes up to 72'' (125'' fully extended). Feed Leg also features an adjustable handle. 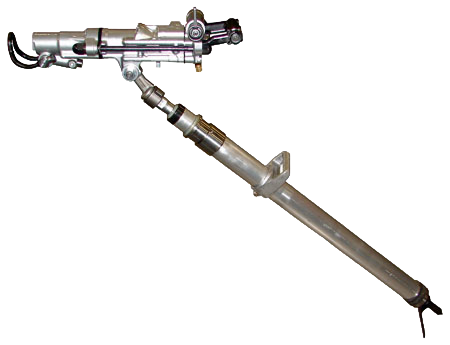 Power Retractable Feed Leg capable of up to 531 lbs. of force. Compatible with our MWS83FA and MWS83FB Jack Leg drills. Available in several sizes up to 54'' (126'' fully extended). Feed Leg also features an adjustable handle. This dependable drill is built to hit harder and penetrate rock faster than any other drill on the market. For years it has been the work horse of the mining and construction industries. The MWRB83 can easily be converted from a Jack Leg drill to a Stoper drill - perfect for quarries and road construction projects. It is a favorite of both drillers and managers for it's power and low maintenance. Mid-Western is the OEM of the RB83 line of Stoper Drills. We manufacture our parts and drills right here in the United States. Our castings are made right here in America and we do all of our own precision machining. It's no wonder why our drills perform better than any of the foreign competition. Many have tried to copy our drills but none have been able to equal our quality. We have been manufacturing reliable equipment for over 65 years and we carry on that tradition today.